Sailorette's Vintage Life & Style: That 1930s dance and a Lindy Hop party to mark on your calendars. That 1930s dance and a Lindy Hop party to mark on your calendars. This week I joined a beginners Lindy Hop workshop. What is Lindy Hop, you ask? 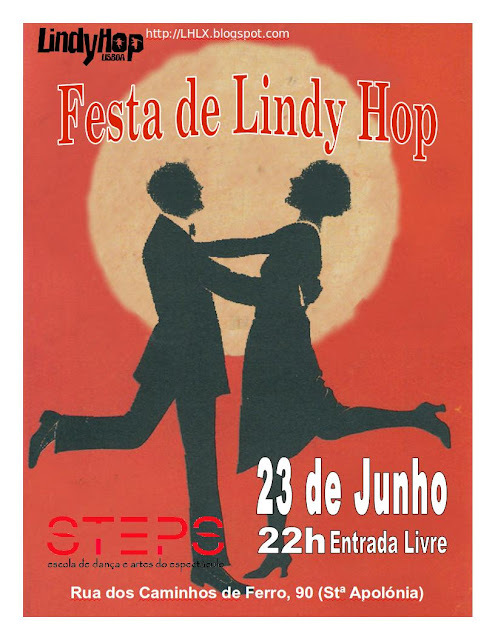 "Lindy Hop is the rythm that gave way to sing and, later, Rock. It's the 1930s famous crazy dance, from the Savoy Ballroom, one of the worl'd most famous ballrooms located in New York's notorious black neighbourhood, the Harlem. After the Charleston clad 20s, the 30s' with their Big Bands made Swing one of the strongest, most danceable rythms of the century, and Lindy Hop one of the most extraordinary dance styles ever created. Coming back to life in the 1980s in Sweden and the UK, Lindy Hop has gained fans throughout the world, including North America, South America, Europe, Asia and Australia." Plus, it just so happens they're throwing a party this Thursday, why not drop by for a swing?